Abstract Ramblings | Random thoughts about life, Jesus, the Church, and the things most important in this world. This is the seventh in a series of posts that explain the details and the how and why we do Friday Nights. You can find links to all of the previous posts here. The dreaded part of any event is the clean up after the fun is over. Cleaning up the mess, washing dishes, taking the trash outside, reorganizing the table and chairs is not the part anyone looks forward to. By the time you get to this part of any event, you start to wonder if the party was worth it. 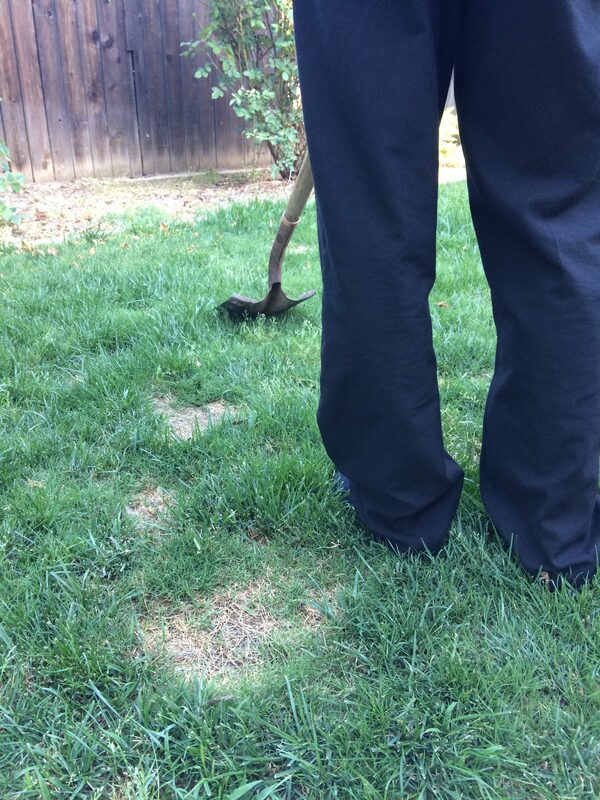 Ugh…the clean up! We experienced this feeling the first couple months of Friday Nights. But with six kids, we just learned to master it and clean up is typically finished in less than ten minutes. We each play a part, do what needs to be done and get it finished quickly. It’s family teamwork at its finest. Our kids have finally realized the benefits of this weekly gathering and they’ve decided they need to participate in the clean up at the end. Why? Because they believe in Friday Nights. To make it easier, we decided on the following processes. We always use paper plates and plastic Solo cups. No washing! If we have put processes in place to reuse left over beans (if there are some) and made the clean up almost systematic. Sometimes people ask about helping with clean up. We don’t mind extra help, but we’d rather you just relax and enjoy the fact that Friday Nights is NOT at your house! In addition, it’s simply good experience for our kids. They need to understand that putting on an event has benefits and consequences. Sometimes, those consequences are indeed worth the effort! Every once and a while, when we do a special event, the mess is massive…like after pumpkin carving with 62 people! During those times, we ask for help…because that stuff is just nasty. Community helps with messes. But sometimes, people in your community just need to relax and let others provide for them. We love to clean up our weekly mess so you can have true community. This is the sixth in a series of posts that explain the details and the how and why we do Friday Nights. You can find links to all of the previous posts here. Some people…like me…think this might be one of the best parts of Friday Nights. Several months before we started this crazy endeavor, I came across this amazing salsa recipe. I tried it out with my cooking genius son Cale…we made some slight alterations and…Bam! We have some AMAZING salsa. And when I make it super spicy…some people think they are going to die! Anyway, sometimes it’s spicy, sometimes not. Regardless, it is awesome and worth coming to Friday Nights for. After a long conversation one Friday night, we decided to do a salsa competition…something we’ll start doing every year in the summer. 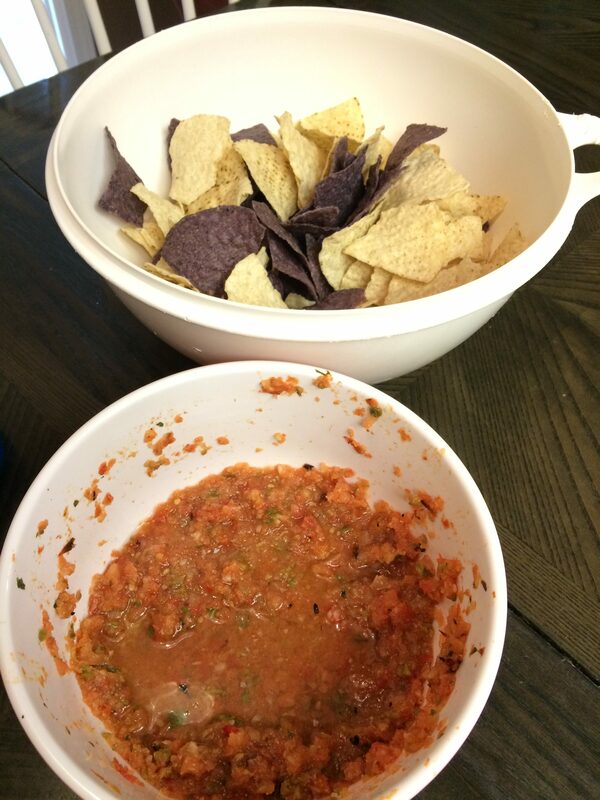 Everyone brought their own home made salsa to beat out everyone else. I good friend of mine who is a professional chef came to be the official salsa judge. He had never been to Friday Nights before so his opinion was not biased. It was really fun for him to describe what he tasted and also to give feedback to everyone on what he thought…his professional opinion on why it was good or bad and how it could be made better. It was tons of fun and one of our largest nights in attendance and most memorable. Friday Nights is about community. Sharing what we have, what we know, and just living life together. 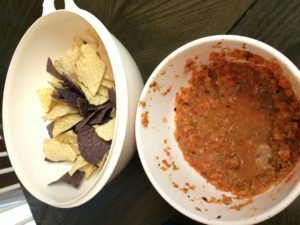 But sharing homemade salsa makes it just that much better! This is the fifth in a series of posts that explain the details and the how and why we do Friday Nights. You can read the backstory here, part 1, part 2, part 3, and part 4 here. In an unexpected twist, our kids have become some of the biggest supporters of Friday Nights and have brought the most new people. Initially, they liked the idea, but quickly got tired of the work to clean up after and the fact we had it EVERY Friday. But once they figured out they could invite their own friends, everything changed! The teenagers in our house frequently invite their classmates from school. When they come, those teens frequently bring their parents. Often, the first time we meet the parents is when they show up on our doorstep on Friday night! It’s so cool. This has really become a fantastic way to get to know other families outside of our own regular sphere of community. So what do they do on Fridays? All the teens tend to stick together, chat, laugh, play card games and generally stay away from the little kids and the adults. What a surprise! They get their food and then typically eat outside where they can be loud and boisterous without any care. If they’re lucky…they could get a quick guitar lesson from Jeff. 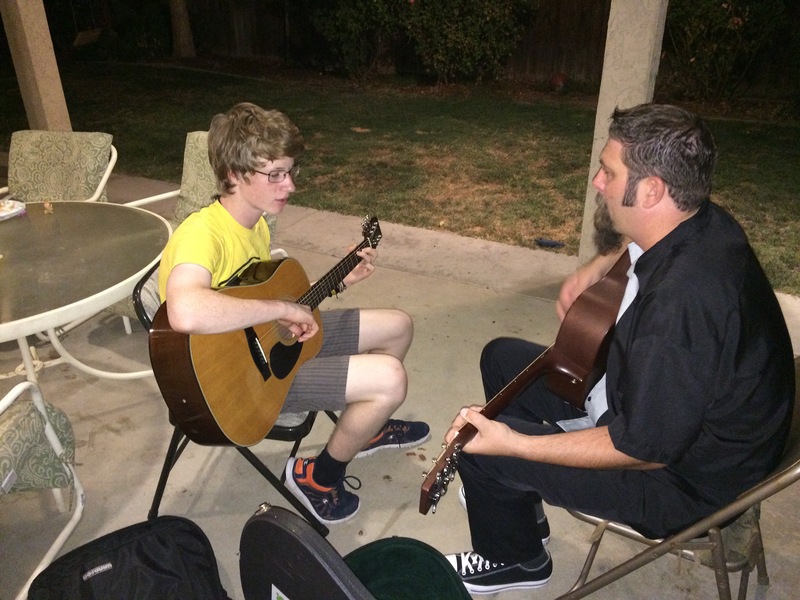 A short Friday Night guitar lesson from Jeff…the guitar guru. The “tweens” like to play Minecraft in the school room where we have a few computers set up. A few of the regulars will bring their own laptop from home and join in the fun. 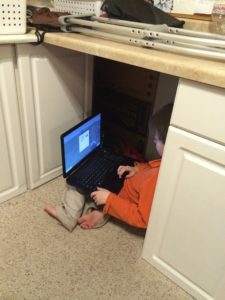 As a rather non-violent and clean game, we don’t have to worry what the kids are doing on the computers much. They also play chess in the same room…or just hang out and talk. 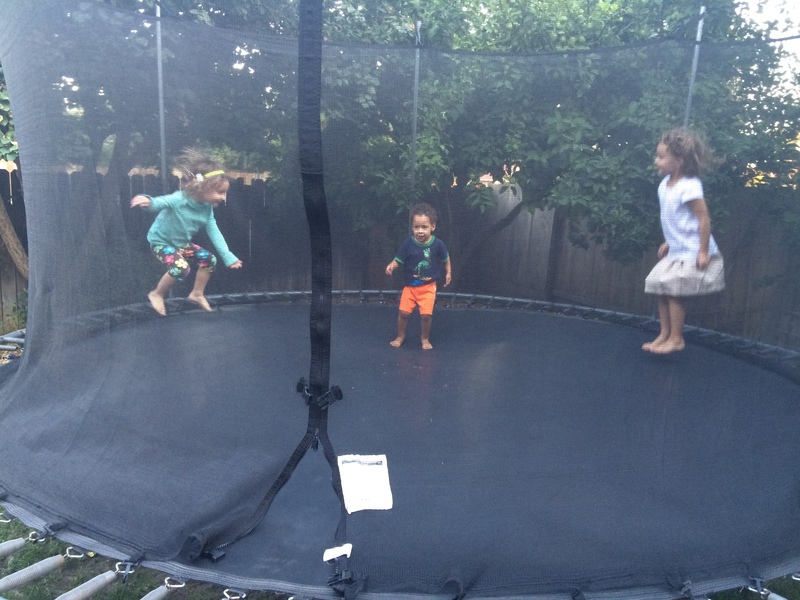 Some like to jump on the trampoline or just run around the backyard. 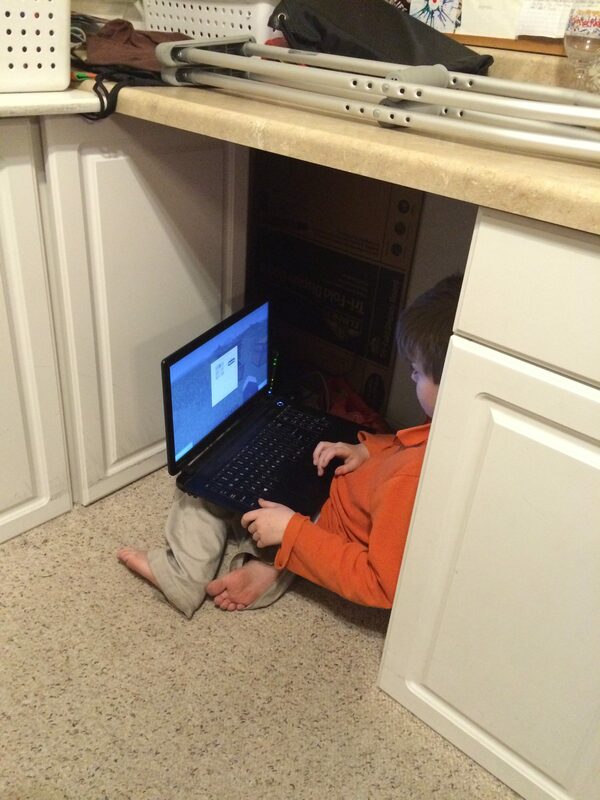 Sometimes…under the counter is the best place to play Minecraft. The little kids play with our manyLego sets, the toy kitchen set, jump on the trampoline, write with sidewalk chalk in the backyard, get on the tree swing, or play games in the garage. Sometimes…if the planets are aligned just right, Ashton will let the kids paint his face. Sometimes Ashton will allows the little kids to paint his face or do his hair. They also frequently ask to pet the bunnies…Magic and Cheesy-Sprinkles! 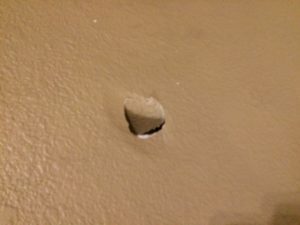 3″ hole in the wall! I have no idea how this happened. Our community always involves kids. And sometimes those kids interrupt you when you’re talking. Which leads me to my next wonderful point…child-rearing is a frequent topic around the adult table. One of the things that is really great for parents on Friday’s is that we have such a huge range of parenting philosophies and experiences. Some parents have grown children and others have newborns. And most of us have kids in between. Many of us have special needs children. But all of us have questions on how to do this thing called…parenting. Parenting is hard…sometimes VERY hard. We all struggle at times with how to raise a kid in our current society. Friday Nights has proven to be a fantastic resource for parents looking to ask questions of others and get ideas on how to handle certain issues with their children. None of us are experts…but we all come from different backgrounds and different experiences. Some of the parents have great success stories for difficult situations. Some have even more spectacular failures that are hilarious and might help you steer clear of certain disaster. Either way, they might just be what you need to hear. You’ve heard the old saying, “It takes a village to raise a kid.” We tend to disagree. We serve food and fun and create real community EVERY Friday Night. It’s become so successful, people asked us to blog about all the details. 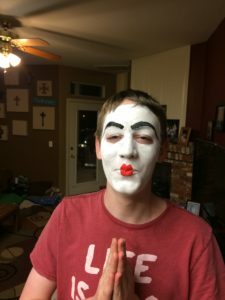 After many posts over several weeks, here are the links to all the posts…updated whenever we add a new post. Part 3 – Who Are These People?! 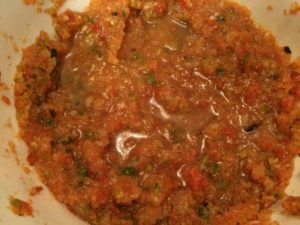 Part 6 – Salsa !! This is the fourth in a series of posts that explain the details and the how and why we do Friday Nights. You can read the backstory here, part 1 here, part 2 here, and part 3 here. You know when you have guests coming over and you rush around the hour before they arrive and clean the house in order to make it spotless? You yell at the kids to get off the TV and help clean the floors, wipe the table, take out the trash, and dust the cobwebs? You want everything to look awesome and like you have everything together? Yeah…we don’t do any of that. Really. Faking how we really live, what our house really looks like, and how we do or do not keep it up is just too much work! We’re not interested in impressing you. We have nothing to offer you except our hospitality and cheap food…and Brandy’s great charm! We have no reason to try and impress you. So we don’t. 1) We make sure the bathrooms are clean and well stocked. 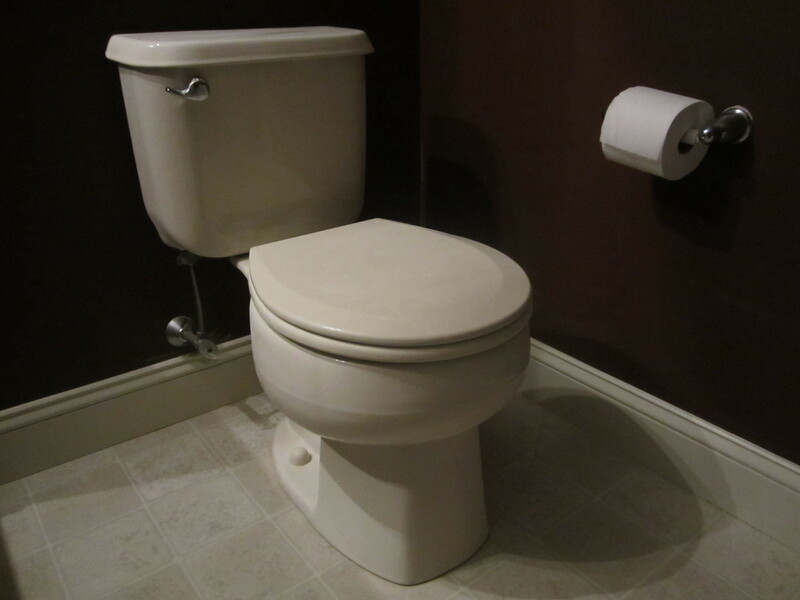 Truth is…nobody wants to use a stinky or dirty bathroom…unless it’s your own, then its okay…right?! So we make sure the toilet is cleaned, stocked with paper and there is soap and towels by the sink. 2) We pick up the dog poop in the backyard. We actually do this daily anyway, but we double ensure there won’t be any mishaps with the kids running around…sometimes in the dark. When someone steps in the poop and then also steps on the carpet…everyone is embarrassed. So we take care of this early. 3) We lock the fence gates and the front door. Admittedly, this is more because of our own child who is an autistic wanderer. 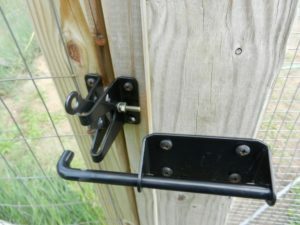 But we try and keep everything locked up anyway since not everybody knows or understand this. Besides, nobody wants their kid to go missing in a neighborhood they don’t know. With so many people showing up each week, we don’t want anyone wandering off. We also sweep the floor downstairs (sometimes)…but we generally do that most days anyway because we have a huge messy family. So you can’t count this one…we don’t do it just for Fridays. Look, we’re ordinary people. We have good days, bad days, and really-bad-just-want-everyone-to-shut-up-and-leave-me-alone days. Sometimes our house is spotless…I’m sorry you missed it. (It probably wasn’t on a Friday anyway.) And sometimes it looks like a bomb went off in every room of the house. I don’t think I ever remember someone showing up on a Friday Night and tried to impress us with their life. So we won’t try and impress you. Our house is not generally messy, you can typically navigate the halls without doing a dance. But the point is, we just try and keep it real. It’s who we are. This is the house God has given us. And we offer it to others once a week. Let’s just all be real.